Replacing “#########” with the appropriate app-id, which if you’re a developer you almost certainly already know. For web developers, you can get the app id by knowing the iTunes/App Store link, which contains the app id within the URL string. 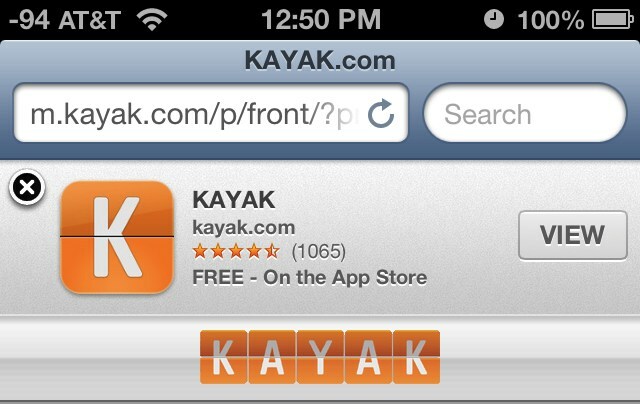 Googling for the clients app like “App Name App Store” is usually enough to find this instantly. In this case, “305204535” is the app-id code that would need to be plugged into the aforementioned meta tag. Apple has detailed documentation on this, check out the developer library for more information. This tip is really going to be most helpful for web developers and application developers, and anyone else who happens to have their own app and their own website where they’d like to prompt users to download that app. For those with websites and without apps, setting the Apple Touch Icon is equally as important, since that controls what a user sees when bookmarking a website to their iOS home screen. That’s just a matter of adding a file named “apple-touch-icon.png” to the primary website directory, though everyone should take the time to make a retina-ready version of that touch icon. Heads up to MarketingLand for the tip idea. Are there people out there that actually use Safari?